Study animals, organisms and how they’re adapting, surviving and thriving in today’s environment. Lead the pack to a great job studying, researching and following life in the outdoors. Tailor your degree and specialize in many areas of Zoology including animal biology, organisms and their development, genetics, evolution, physiology, behaviour, and interaction with the environment. Sudbury is a great place to study the effects of the pollution and rehabilitation, with its history in mining and its successful, UNESCO-recognized re-greening program. Join the successful line of researchers whose work was published in the scientific journal Zoonoses and Public Health and highlighted on CBC’s Points North. Use the program’s flexibility to pursue your areas of interests such as mammals, reptiles and frogs, fisheries biology, evolution, wildlife management, etc. Graduates can rest assured knowing there is a multitude of career options they can explore post-graduation. Graduates can also consider admission into various programs of specialization including Wildlife rehabilitation, science communication, and Veterinary medicine. 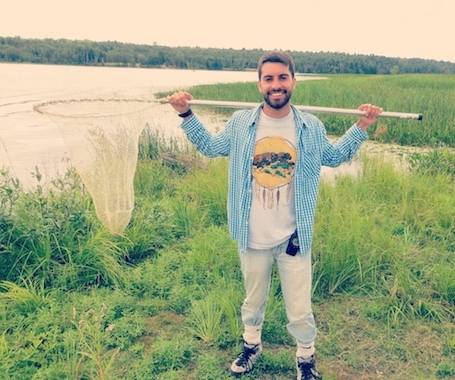 Graduates of Zoology will be qualified for employment in a variety of fields including provincial and federal wildlife agencies, science education, animal research, or admission into various programs of specialization including Wildlife rehabilitation, science communication, and Veterinary medicine.